Steve has worked in the marine engineering and hydraulic business on the Port of Nelson for over 30 years, starting as a fitter and turner apprentice with Nalder & Biddle. Steve worked his way up to being General Manager at Challenge Marine Ltd, growing the company from a small jobbing workshop to a key player in marine engineering in the early 2000’s. 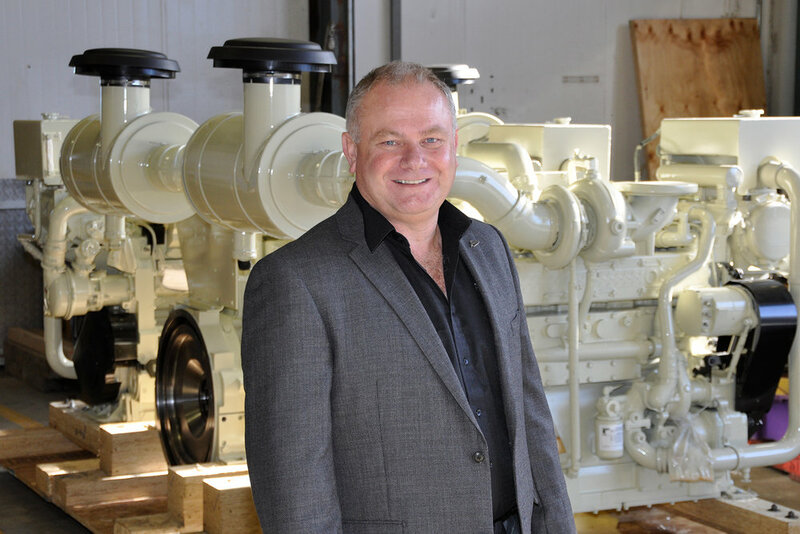 Post Challenge Steve has co-owned and owned a number of successful Hydraulic and Engineering companies. 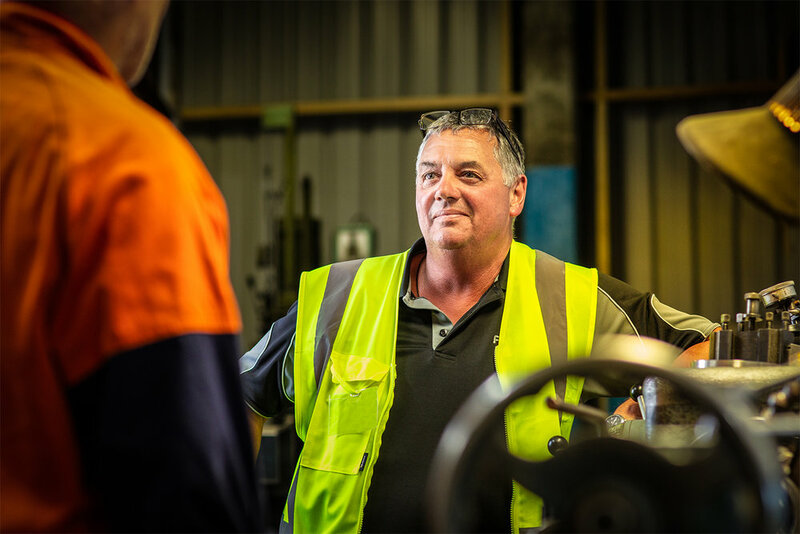 Steve had the vision to purchase 50% share of the Aimex business in Port Nelson, which specialised in Automotive engineering and had a staff level of six. Forging on Steve changed the focus from automotive to marine engineering. Specialising in the sales and service of the Rapp Hydema products, Steve heads the team assigned to represent these brands in both New Zealand and Australia adding to the marine engineering focus. Over the years from 2009 when the business was created he has added a number of new services and disciplines to the organisation. Steve has been involved in a number of new vessel builds and brings a wealth of not only hydraulic and engineering, but solid commercial acumen to the business, which has underpinned the success of the wider Aimex group of companies to date. Ross started in the engineering business by completing his apprenticeship with Anchor Dorman Limited as a Boilermaker/Welder. He gained extensive project management and boat build experience over the next 20 years with multiple engineering companies in New Zealand. He has been with Aimex from the start in 2009 and coordinates, prepares, estimates and creates comprehensive and detailed quotations for all the upcoming scheduled work and new vessel builds. At Aimex Service Group he works with customers to create cost effective solutions for major refits, new vessel builds and major vessel surveys. Simon is an experienced Senior Manager in Corporate, Co-Operative and Private Business with key areas of expertise. Simon’s background has 27 years of Plumbing, Building, Manufacturing, Distribution and Trades experience having worked both nationally and internationally in these fields. His focus is strategy development, people management and culture, financial and risk management, relationship management, service, product development, delivery and excellence, technology and social marketing. Simon brings a high level of commercial acumen to the business and takes the responsibility for developing strategies for both demand and growth both internally and externally for the portfolio of Aimex companies. Craig brings a wide range of business and technical skills to the Aimex table as an active Director in the company. Being the Chief Executive and co-owner of Westfleet Fishing, having started it from scratch as a teenager working on fishing boats, Craig is no minnow in the world of commercial fishing and marine engineering. Holding the rights to 5000 tonnes of quota and six well equipped Vessels, Westfleets recently opened a new $10m processing factory in Greymouth being the last part of the puzzle for the company in its preparations for expansion. With plans to buy and build more vessels, Craig’s extensive knowledge and experience of the Marine Industry is a total asset to Aimex, and brings great strength to the strategic planning and vision for the future of the business. Mark has an extensive background in mining and marine engineering. Mark has been a Chief Engineer, Assistant Superintendent and then Superintendent for Sealords looking after a fleet of vessels ranging from 42mtrs to 90mtrs and up to 10 vessels both in New Zealand and International waters. While Mark is busy with Aimex he still contracts back to Sealords to manage the engineering requirements on a deep sea trawler working out of Mauritius. 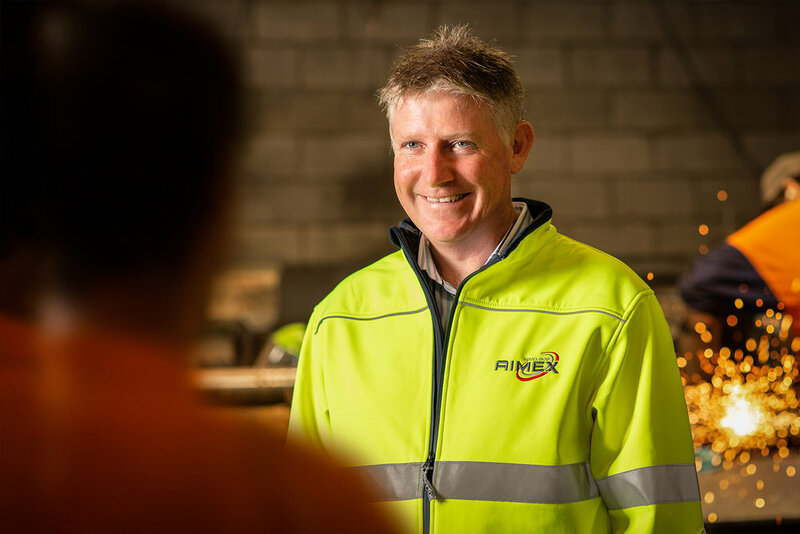 With Marks excellent knowledge, he commenced working at Aimex in 2014 as a Technical Director, however Mark has been a part owner of the business since 2003.